Milton Reed York, M.D. passed away on September 27, 2018, at Merit Health River Region. He was 86. Dr. York was born on August 27, 1932, in Picayune, Mississippi. He has lived in Vicksburg since 2005. Dr. York graduated from Mississippi College and received a medical degree from the University of Mississippi Medical Center, and he practiced in Greenville for 30 years. He was an anesthesiologist. He enlisted in The US Navy and was discharged as a full lieutenant. He also served in "D" Medical Co. (USMC). 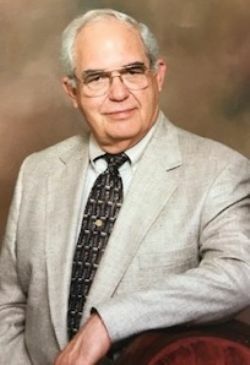 Dr. York was in the following Organizations: Order of Demolay; Theta Kappa Omega; Alpha Kappa Kappa; American Medical Association; Mississippi State Medical Association; Sons of Confederate Veterans; former Assistant Professor of Anesthesiology, University of Mississippi Medical School; and a member of first heart transplant ever done in the world. Dr. York is preceded in death by his parents Milton York and Ruby Leigh York, and a brother Robert Wayne York. He is survived by his wife Adele Blackburn York of Vicksburg, a daughter Tara Leigh York of Conifer, Colorado, four sons Reed York of Dothan, Alabama, Eric York of Cape Coral, Florida, James York of Vicksburg and Bill York of Diamondhead, Mississippi, one brother Gale York of Hattiesburg, and his 13 grandchildren. Active pallbearers will be Trey Kamman, Jeb Blackburn, David Blackburn, Michael York, Chris Brooks, Robbie York, Russell York, Derrick York, and Steven Ladner. Honorary pallbearers will be Bubba Hawkins, Buddy Powers, Dr. Fred Bordelon, Dr. Darrell Austin, Dr. John Brooks, and Dr. Alex Solomon. Visitation will be held at Glenwood Funeral Home on September 30, 2018, from 3:00 pm to 5:00 pm. A private graveside service for the family will be held Monday. Officiating the service will be Dr. Matt Buckles.